I like making things, I like to bring things into the world that might add cheer, amusement to someone’s day. I tend to shy away from the logic of business, though it is essential to operations and I am now reliant on these “operations” for my living. I am bedeviled by shipping costs. I have miscalculated often and so far always erred on the side of under charging. 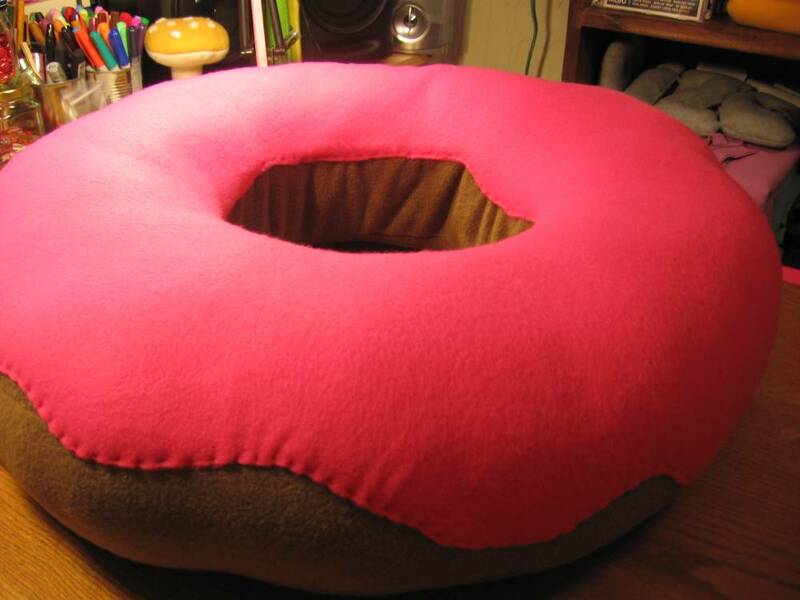 See this donut pillow? It is large. Very large. It costs a buttload to mail to Australia. I didn’t know that the first time I mailed one. When the nice lady at the post office told me my big box would cost $43 and change I was crushed. I’d guessed $13. That is the shipping charge on my Etsy listing. I had to go back and tell the buyer I couldn’t ship the item because of my very bad miscalculation. I told her I didn’t expect she’d want to pay that much shipping. She said she would. It’s not cool to mess up this way. That isn’t the worst story. Somehow on another listing I charged no shipping at all for a donut to the U.K.
That may have been a fowl up in the Etsy shipping page which had changed and whose subtleties I had not learned. I ate the massive cost of shipping that time and then realized I had to get it together. I know the cost to Australia and the U.K. nearly $50. I decided I would charge $30. shipping from now on. The problem is no one want to pay that much shipping. Even if they can fully understand that big things cost lots of cash to send it doesn’t go down well. I though for awhile that I’d just be honest about the costs and let people know that I was absorbing part of the shipping cost. Finally, today, I decided to do what everyone else does, what business etiquette (strange concept) or maybe I should say business psychology demands. Include part of the shipping costs in the price. That means I had to raise my prices by $21 bucks. Will I ever sell another donut? I’ve also decided the gigantic size, 20 inches of pillow, might be too much. Maybe I’m the only one who equates their enormity with an amusing cuteness. This morning I made a 16 inch pattern and will, in the near future, offer these smaller donut pillows to Etsy shoppers. they will be more truly acccent pillows. 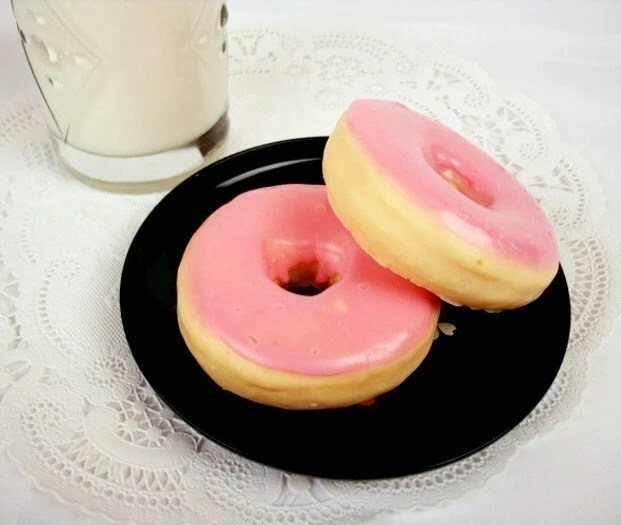 I found a really cute soap donut over at soapopotomus’s etsy shop. Aren’t these perfect? I had to order one for my pink and turquoise bathroom. This entry was posted on May 29, 2010 at 10:27 am and is filed under constructions, cute, finds with tags donuts, shipping costs, soap. You can follow any responses to this entry through the RSS 2.0 feed. You can leave a response, or trackback from your own site.